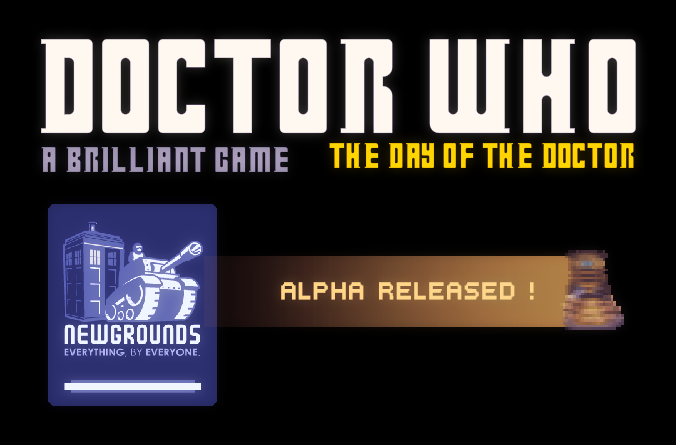 Post news Report RSS	Doctor Who : Alpha version released ! Info about the release, where to give feedback, what to expect in the coming months. IndieDB, right here. or my account page. After that release, we will be looking forward for the feedbacks, take rest, learn what were our mistakes and our achievements, and try to continue the game as much as we can, depending on how our studies are going. Since that, on a personal level, I've always been keen to reject video games adaptation of movies, I have to understand more why It doesn't work most of the time. And as far as I remember when I write that, it was because the game follows the movie without taking liberties. So it's what we will try to do. Still not moving on the translation part though, because we need the final game before.